As one of the world’s leading sport-lifestyle companies, PUMA designs and develops shoes, textiles and accessories. PUMA means sports and fashion. Its sports and lifestyle categories include soccer, running, motorsport, golf and sailing. 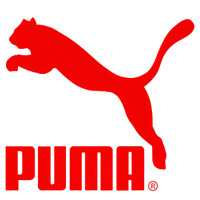 PUMA cooperates with famous designer labels and brands like Sophia Chang, Mercedes, BMW und Ferrari.